Commercial properties tend to be long-lasting fixtures once they’re constructed, but like any space, the eventual requirement to have a property removed in order to progress on other plans can be present. When looking for quality demolition contractors for your former commercial building, making the choice to reach out to the local area experts at Victoria Demolition will provide results you can count on. We have been bringing experienced and specialized demolition services to the city for years and know how to bring a usable result. Both sizeable commercial and industrial properties require attentive and specialized services in order to get the results you’re looking for. These spaces require both interior and exterior demolition carried out in specific steps and the necessary experience needed to have the best finished product delivered. 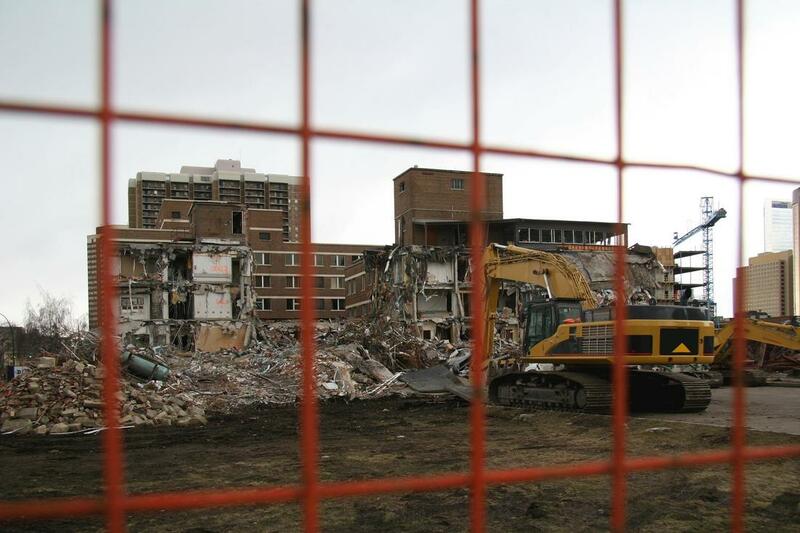 Whether you require a full building demolition, simpler services such as mold removal or asbestos removal and abatement, counting on the expertise of Victoria Demolition will ensure that you have the exact services you need carried out to the highest standards. All it takes is a simple phone call to start with your plans. Whether preparing for a new property to be built, or to have a space fully treated after having a commercial demolition carried out, you can depend on the experts at Victoria Demolition to provide you with the exact results you’re looking for. When in need of the best in local demolition companies, putting your trust in the capability of our professionals will ensure that you can perfectly treat any type of property you have. From tree clearing and preparation for construction to a full removal of all remnants of a previously standing building, making the call to our experts will bring the best. If you plan to renovate a commercial property, or to completely change the type of business within, choosing a commercial interior demolition service from Victoria Demolition will provide you with the blank canvas you need for a fresh start. Whatever the plans you have for a property in the future, you can count on the experience and expertise of Victoria Demolition to bring you the gutting and cleaning services needed to give you the same amount of freedom you would enjoy with a brand-new property. When you need effectiveness, reaching out to our professionals provides options. You may choose to just have specific sections of a commercial or industrial property removed for your particular needs, whether tank removal, garage demolition or the removal of previous additions. When looking for a service that has the capability to remove unwanted sections on your behalf and providing you with the flush and complete results you need to carry out future plans, leaning on the expertise of our professionals will deliver results that only come with years of local experience. No matter the property, or your wishes, you can depend on the services that your local demolition contractors carry out on your behalf.